The pilot of the Russian Su-25 jet shot down over Syria reportedly died fighting as his weapon was found with an empty magazine. He was being considered for a state award, documents found on his person apparently reveal. The Russian airman killed by militants in the Al-Nusra-controlled area in Idlib province Saturday has reportedly been identified as Major Roman Filipov. 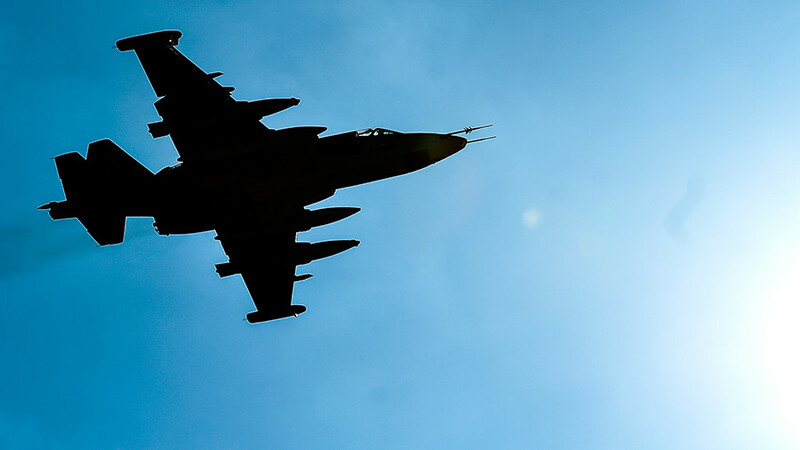 Earlier, the Russian Defense ministry confirmed that the pilot died "during combat with terrorists." One of the pictures, posted by independent investigative group Conflict Intelligence Team (CIT) indicateshows what appears to be a commendation authored by special operations air group commander Lt. Colonel Sergey Aksenov, recommending that a state award be bestowed upon Filipov for completing combat missions in Syria. The document was allegedly found in the slain pilot's pocket. Another photo shows the gun Filipov apparently used to fight for his life. A Stechkin machine pistol (APS), standard issue for Russian combat pilots, is seen next to three magazines, one of them empty and two half-empty. Citing a Russian Defense Ministry source, the Novaya Gazeta newspaper confirmed the deceased pilot was Filipov. According to the report, he was a former Ukrainian pilot from the city of Simpferopol in what is now Russian Crimea. 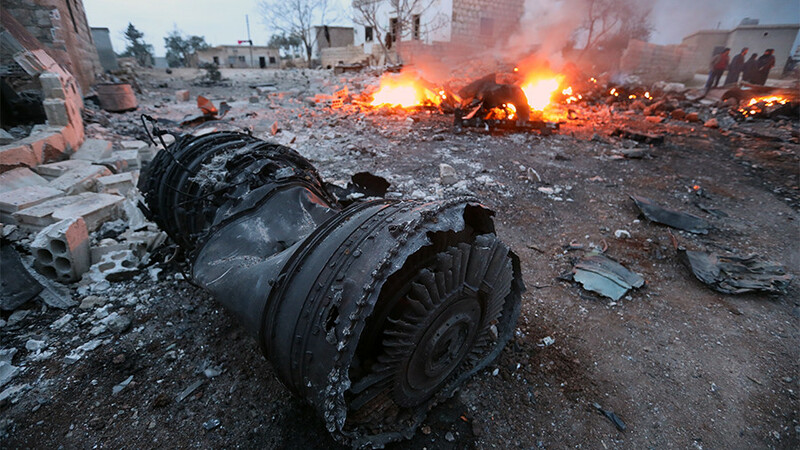 The Russian Defense Ministry has yet to officially release the identity of the deceased. Earlier, it confirmed the pilot had successfully ejected from the aircraft before being killed while engaging terrorists on the ground. Moscow said the jet appears to have been shot down by a man-portable air-defense system (MANPAD). 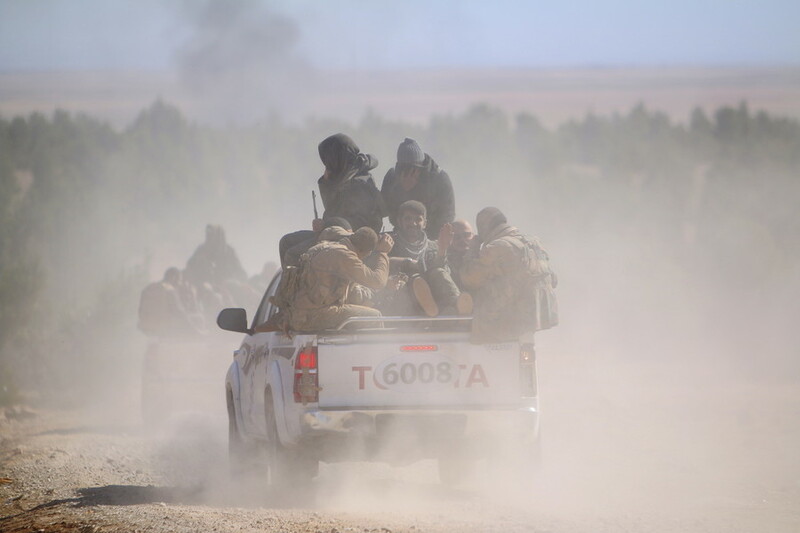 Tahrir al-Sham, an extremist group linked to Al-Nusra terrorists, claimed responsibility for the attack. 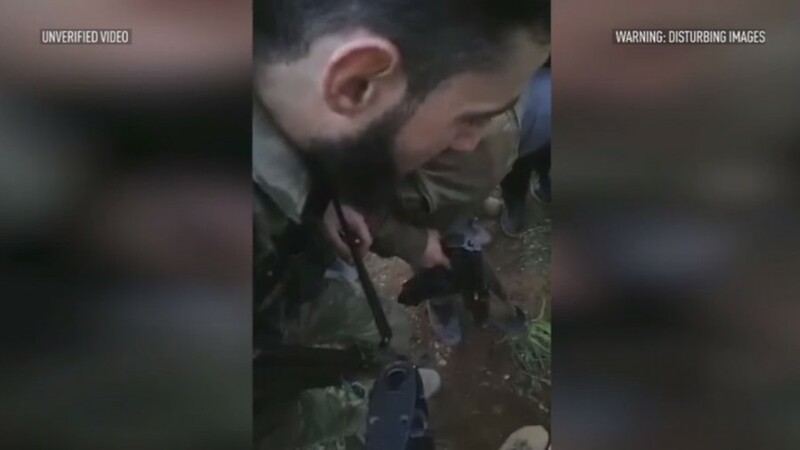 Earlier, videos and statements about the Russian pilot appeared on the Twitter account of the Jaysh al-Nasr, a militant group affiliated to the Free Syrian Army. A video has emerged allegedly showing the rebels posing with the dead body of the pilot. Warning! The video contains images some may find upsetting. 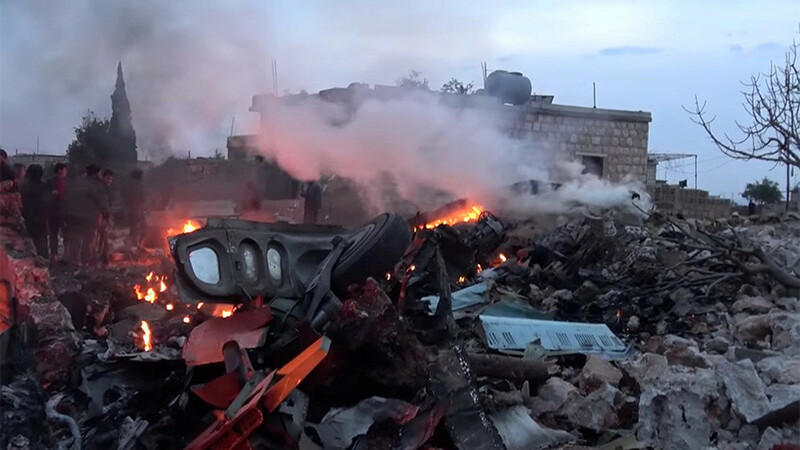 In retaliation to the downing of the Su-25 jet, the Russian military carried out precision airstrikes targeting the terrorists in Idlib. 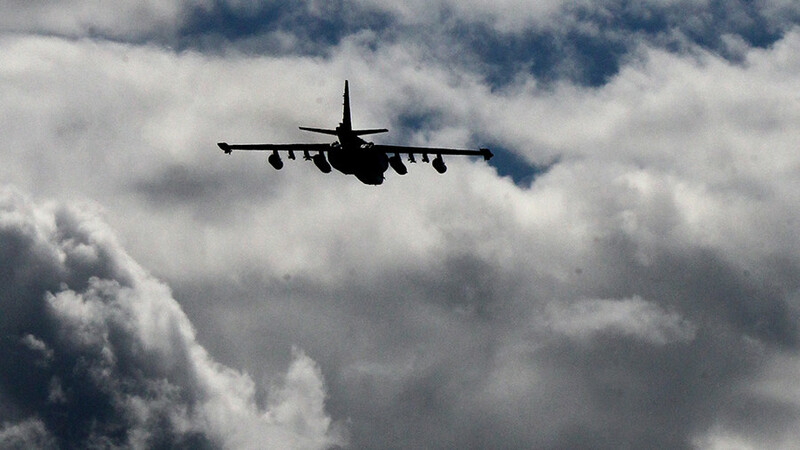 At least 30 militants are believed to have been killed in the operation, the Russian Defense Ministry said. During the active phase of its Syria camping that began in September, 2015 and lasted until December last year, Russia has lost several aircraft, both due to technical flaws and in combat. One of the most high profile incident remains the grounding of a Russian Su-24 bomber by a Turkish F-16 fighter jet in November, 2015. 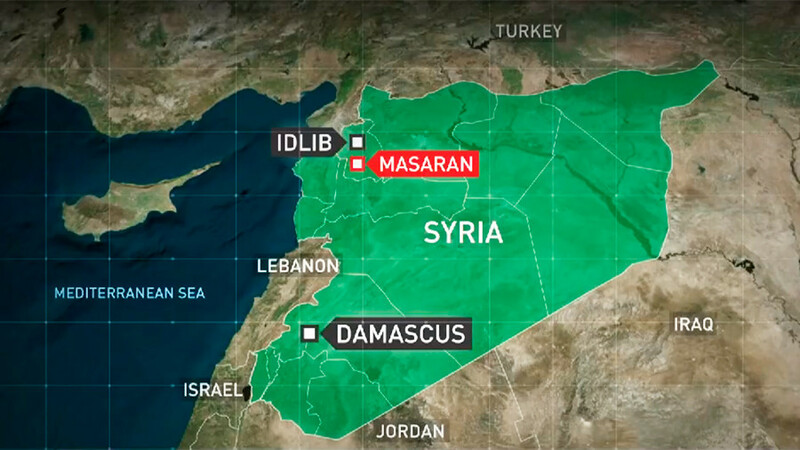 The Russian warplane was conducting sorties against terrorist targets near the Syrian-Turkish border when it was shot down by an air-to-air missile. One of the pilots, Lieutenant Colonel Oleg Peshkov, was killed by machine gun fire from Turkmen rebels on the ground. Peshkov was posthumously awarded a Hero of Russia medal, the highest honorary title of the Russian Federation.